I LOVE Grammarly. I installed it on my computer some time ago and I wouldn’t want to try to write without it! It automatically highlights problems in my writing and gives me suggestions to correct them. There are so many things that Grammarly does I’ve included a link to an article which reviews them HERE. 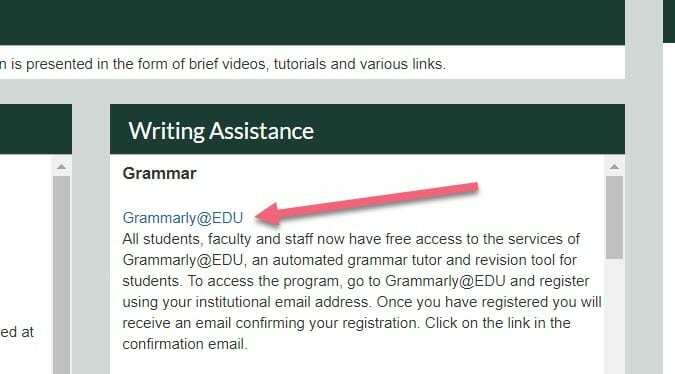 I cannot overstate the importance of getting hooked up with Grammarly as soon as possible – ESPECIALLY SINCE IT IS FREE TO YOU AS A BELHAVEN STUDENT!!!!! Here is how to get connected. Go to Blazenet, Click on the hamburger menu, then Academics, then Adult and Graduate. 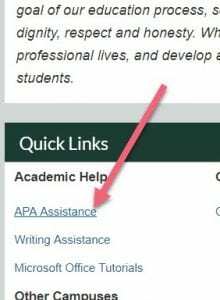 From the next screen scroll down and click on APA Assistance under Quick Links. The link for Grammarly will be on the right – just follow the directions. This could be a game changer! Don’t react defensively . . . Many times you are assigned a group or team project that will result in a presentation. 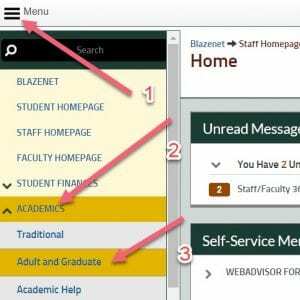 In many cases, the work is divided up by having one person create the presentation, typically in PowerPoint while others are assigned other parts of the project. The problem with this is that it is usually the same person who creates the PowerPoint and the other students have little or no input into the final presentation, nor do they become familiar with creating presentations. Google slides is GREAT for team projects because it allows multiple people the opportunity to work on the presentation from different locations AT THE SAME TIME. So, each person in the group could be assigned to create 2-? slides relative to their portion of the content, and everyone can see and comment on each other’s work as the project progresses. I’ve included a tutorial below from Youtube. One person would create the project and then share it with the others in the group so everyone can access it and add their portion. Presenting in class is a snap, just log into your Google Drive account (be sure to open an incognito window in your browser to avoid accidentally leaving your login information) and run the presentation. You could even add the Instructor to the project so they can see what’s happening. Even better, it is possible to see who created what, so there is no question about some team members slacking while others do all the work!